UP TO AN ADDITIONAL 2 ACRES MAY BE PURCHASED WITH THIS HOME! 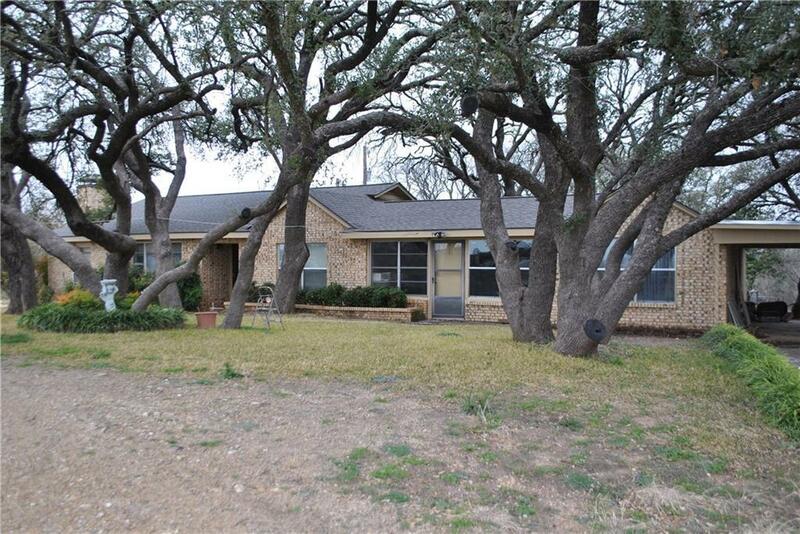 Large tree covered lot in an excellent location, only 5 miles to Comanche on a paved road. Large Brick home with 4 bedrooms split on each end of the home, 3 bathrooms & one has a walk-in tub, Fireplace with insert, co-op water and a water well also. On this 1.13+-acres there is a storage building, a shed, a storm cellar, and a new roof this year! Plenty of room for the kids to play and for your pets!us there's If you're looking for a place in the country, look at this one!